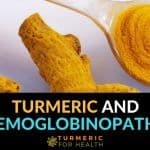 f you follow this blog regularly, it is an absolute no brainer as to what curcumin really is?! 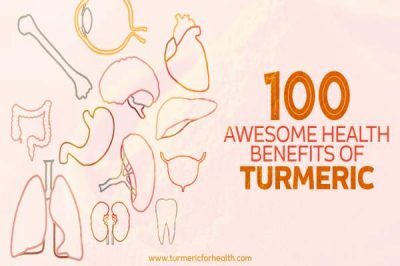 But the magic of turmeric is slowly spreading its roots and contributing to the health of various individuals around the world. 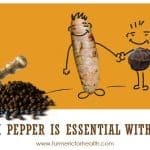 Undoubtedly if you are new to turmeric, you are bound to have multiple questions as of how to utilize turmeric for health? (Read Turmeric 101). 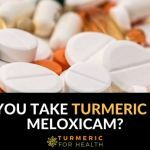 One key question is Should I take Turmeric or Curcumin? 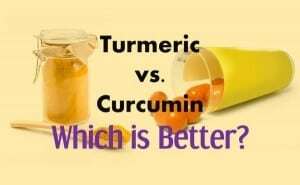 And to answer this you need to know what curcumin is in the first place and then you would know which of the two – turmeric or curcumin, suits your needs? The main active constituents of turmeric can be divided in two groups: curcuminoids and turmeric oil. 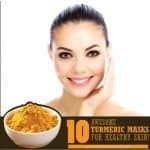 Turmeric contains a wide variety of phytochemicals, including curcumin, , zingiberene, curcumenol, curcumol, tetrahydrocurcumin, , turmerin, turmerones, and turmeronols. Curcuminoids are a group of compounds that offer yellow-orange color to turmeric. Naturally, the 3 main curcuminoids are curcumin, bisdemethoxycurcumin, and demethoxycurcumin. Now curcumin (also known as Curcumin I) was first isolated in 1815 by Vogel and Pelletier as the ‘yellow coloring matter’ from turmeric. However, this was a mixture of resin and turmeric oil. Vogel Jr. obtained purified curcumin in 1842 but did not report its formula. It was later obtained in crystalline form in 1870. Lampe et.al. identified the structure of curcumin in 1910 as diferuloylmethane or 1,6-heptadiene-3,5-dione-1,7-bis (4-hydroxy-3-methoxyphenyl)-(1E, 6E). Lampe et.al later documented the synthesis in 1913. In 1953, Srinivasan identified and separated components of curcumin mixture or curcuminoids naturally present in turmeric. So it is the mixture of curcumin that offers yellow pigment to turmeric. As mentioned prior, this mixture contains curcumin (Curcumin I), demethoxycurcumin (curcumin II), bisdemethoxycurcumin (curcumin III). The molecular formula of curcumin is C21H20O6 and has a molecular weight of 368.385 g/mol. It has a melting point of 183 degree Celsius. Curcumin is insoluble in water and ether, soluble in alcohol, acetic acid, Dimethylsulfoxide, and acetone. Curcumin has a brilliant yellow color under acidic to neutral conditions (pH 2.5 to 7) and turns red in color at a pH above 7 or alkaline conditions. The first use of ‘Curcuma’ (what turmeric was known then) was reported in 1748. The first article suggesting the use of curcumin in humans was published in 1937 by Oppenheimer. In this study, curcumin was used to treat gallbladder diseases. Rapid emptying of the gallbladder was seen and as per the report the author treated 67 patients of cholecystitis (inflammatory gall bladder disease). Both oral administration and intravenous injection deliver good results and no side effects were seen. All except 1 patient was cured based on the observations conducted over a period of 3 months to more than 3 years. Later in 1949 and 1972 the antibacterial and blood sugar lowering effect of curcumin was documented. Also, its cholesterol lowering , antioxidant and anti-inflammatory properties were documented in 1970s. 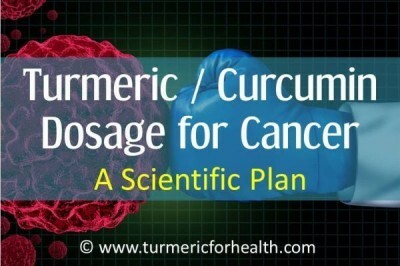 In 1980s Kuttan et.al documented the anti-cancer properties of turmeric and curcumin. As of now in 2017 over 9000 studies on curcumin are recorded in Pubmed, the database of National Institutes of Health. Having learned about curcumin’s structure and discovery, you now have understood that curcumin is one of the bioactive or phytochemicals found in turmeric. Curcuminoids constitute around 2-6% of turmeric and it can be found in various species of Curcuma family. We are focusing on yellow turmeric or Curcuma longa. The mixture contains 80% curcumin, 18% demethoxycurcumin, and 2% bisdemethoxycurcumin. 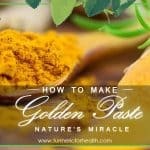 It is true that whole turmeric or raw turmeric has a low concentration of curcumin but it has many other beneficial compounds that give the status of a miracle herb. Also, some researchers state that the natural composition of curcumin in turmeric- that is its combination with other curcuminoids and turmeric oils aids in absorption of curcumin and potentiates its therapeutic effect. What makes curcumin so special? Now that’s a tricky question which researchers have been trying to answer since so many years but no one has a concrete answer yet. Despite of improvement in technology and progress in healthcare as well as the prevalence of multigenic disorders in humans has not decreased significantly. Multigenic disorders are those which involve multiple biochemical signaling pathways. In order to treat these diseases, control or regulation of one of the biochemical pathways is insufficient. Also, drugs that target only a single biochemical pathway are expensive and have adverse effects. Natural products or bioactives found in plants target multiple biochemical pathways and are inexpensive as well as safe. Curcumin is one such compound. This ability of curcumin to affect multiple biochemical pathways is known as pleiotropicity. K.Indira Priyadarshini in her paper Chemical and Structural Features Influencing the Biological Activity of Curcumin describes how the structure of curcumin confers to it various pharmacological properties. The phenolic OH groups are responsible for part of the antioxidant activity while the alpha, beta-unsaturated keto-enol structure is associated with an anti-tumor activity. Curcumin interacts with various biomolecules and these interactions produce reversible as well as irreversible changes in its biological function. Based on the understanding of the structure and its related properties, researchers have developed various derivatives of curcumin with enhanced function but none of them are as potent as curcumin in terms of its multi-targeting effect or pleiotropic effect. What is the issue with the bioavailability of curcumin? Curcumin in turmeric has poor bioavailability- it is poorly absorbed in the body and excreted from the body rapidly. Lao et. al report that no curcumin is detected in the serum even after 1, 2 and 4 hours of administering a dose of 500-8000mg of curcumin. Serum concentrations: Due to poor absorption and rapid excretion, curcumin is not maintained in the blood for long. Tissue distribution: Due to low absorption, curcumin does not reach target molecules effectively. Metabolites: Curcumin is metabolized by the liver into new compounds and research has not completely discovered the therapeutic effect of these metabolites. Half-life: Curcumin is rapidly excreted from the body and has an estimated half-life of 6-7 hours. 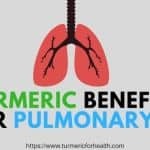 Take curcumin with piperine or bioperine: Piperine is the pungent compound of black pepper and this is known to interfere in drug metabolizing activity and serves as a natural bioenhancer. It is proven to increase the absorption of curcumin by 2000%. Take curcumin with fats: Curcumin is fat soluble and this increases the absorption of curcumin in the gut. Opt for specialized formulations: Various formulations of curcumin are available in the supplemental form that overcomes the bioavailability issue such as Meriva, BCM-95, Theracurmin etc. Consult a health practitioner before taking curcumin supplements. 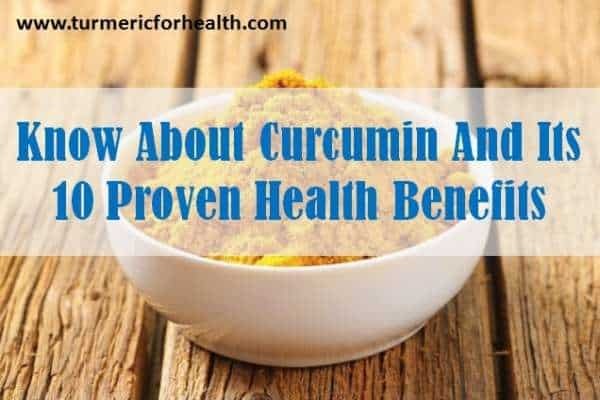 Apart from increasing the absorption, it also very important to note that curcumin also gets metabolized into various different compounds that are therapeutically active. Therefore despite low bioavailability, it still provides health benefits. Difference between turmeric and curcumin: Which should you take? Oranges are a fruit and Vitamin C is its most abundant and important active constituent. Onions are a vegetable and quercetin is one of its bioactive components that are important when it comes to health. 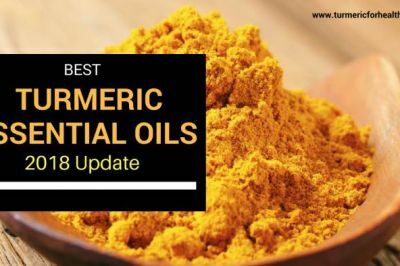 Similarly, turmeric is a herb and spice while curcumin is one of its bioactive constituents that has been proven by research to be therapeutically effective in many health conditions. 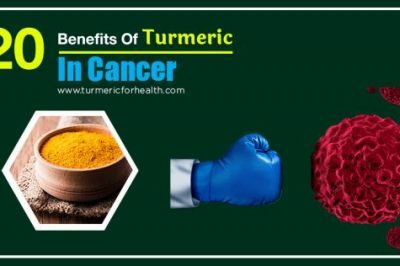 Dietary turmeric helps in various aspects such as boosting immunity, pain relief, fighting infections, improving digestion, cancer prevention, etc. Apart from curcumin, turmeric has as many as 100 other bioactive compounds. Curcumin is one bioactive ingredient that is extracted from turmeric. 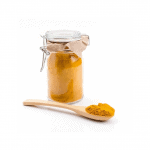 The most common formulation available is standardized 95% curcumin extract. This does not mean that 95% of the product is curcumin; it means 95% of the product is curcuminoids. This product contains approximately 77% (70-80%) curcumin, 17% demethoxycurcumin and 3% bisdemethoxycurcumin. Why not 100% curcumin!? Simply because it will not improve the potency or bioavailability in any way, but just add to the extraction costs making the product expensive. There are a variety of curcumin formulations and for further details read Is Curcumin different from Curcuminoids? 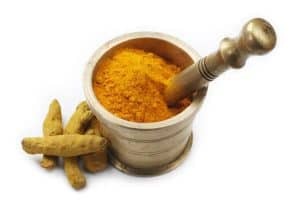 Now for certain conditions like cancer, benign tumors or major depressive disorder one may require high concentrations of curcumin which may not be possible from dietary turmeric. The quantity of turmeric you would have to consume to get the same proportion would be higher than normal and may cause stomach upset. 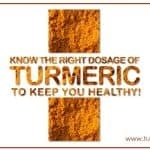 Also in cases like kidney stones, gout or certain kidney diseases where potassium and oxalate intake need to be low then one may need to limit intake of turmeric as a spice and opt for curcumin supplements. You can seek the help of a naturopath or herbalist regarding the dosage and formulation of curcumin that may suit your condition. The US-FDA has approved curcumin as GRAS (generally recognized as safe). 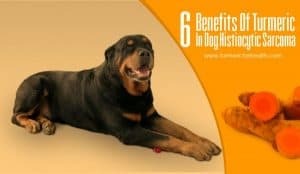 It is now incorporated in supplements, cosmetics, ointments, drinks, and food items. Researchers at the University of Michigan conducted a study to assess the safety of increased dosages of curcumin in healthy individuals. Curcumin C3 complex was given to the individuals at the dose range of 500-12000mg. 34 individuals participated in the study and safety was assessed for 72 hours after administration. 24 individuals completed the study and out of that 7 experienced minimal toxicity that was unrelated to dose. These seven participants experienced diarrhea, headache, rash, and yellow stool. 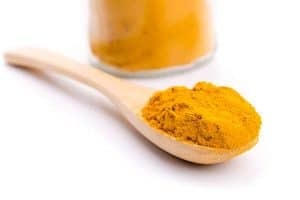 Researchers at the University of Leicester conducted a phase I clinical trial individuals with advanced colon cancer were given 0.45g to 3.6g of curcumin per day for 1-4 months. Nausea and diarrhea were the only adverse events noted. Another study in pancreatic cancer patients reported abdominal pain at high doses of curcumin while in another research study patients have found high dose curcumin unacceptable due to bulky formulation size. Curcumin is a safe and non-toxic compound and the only adverse events noted till date is gastric upset and related symptoms. 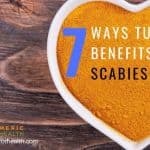 These can be minimized by starting with a low dose of curcumin and increasing gradually. Curcumin is naturally present in turmeric and turmeric powder can be included in the diet. 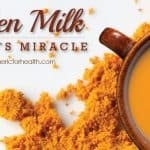 You can also take Turmeric Tea and Turmeric Milk. Curcumin is available in powder form or also as supplements. The most common form of curcumin used in research studies is standardized 95% curcumin. Most studies use a dose of 500mg-1000mg per day of standardized 95% curcumin. However, it is best to opt for supplements with an adjuvant for absorption such as bioperine or lipid (phospholipid or phosphatidylcholine). BCM-95, Curcumin C3 complex, Meriva, Theracurmin are few of the formulations of curcumin that are available. The dosage for each formulation differs; hence it is best to consult a doctor before taking curcumin supplements. Gastric side effect: High dose curcumin may cause stomach upset like symptoms. To avoid this reduce the dose of curcumin and increase gradually if needed. Also, it is advisable to consume it after meals. Anti-platelet activity: Curcumin’s antiplatelet activity has been proven in animal studies. Therefore if you are taking a blood thinner or anticoagulant please consult a health practitioner before taking curcumin. To avoid bleeding risks, discontinue use of curcumin 2 weeks prior to any surgical procedure. Pregnancy and lactation: The safety of curcumin supplements in pregnancy and lactation hasn’t been confirmed. Hence it is advisable to avoid them in such case. Drug interaction: Curcumin interferes in drug metabolism activity and hence it is advised not to take it concomitantly with any medication. It is best to maintain 3-4 hour gap. Gallbladder obstruction: Research proves curcumin can cause gall bladder obstruction at low doses so if suffering from active gallbladder obstruction, avoid curcumin supplements as it may cause painful contractions. Curcumin is one of the bioactive compounds found in the herb and spice turmeric. Curcuminoids are other compounds that are related to curcumin and found naturally in turmeric. 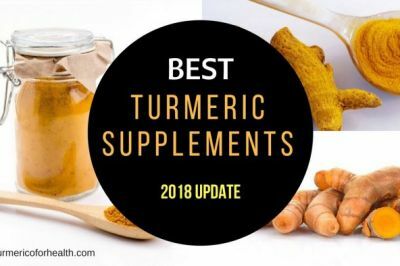 Since over the last decade, curcumin has been actively researched upon and over 200 pharmacological properties of curcumin have been identified. Curcumin has limited bioavailability but despite of that, it shows therapeutic activity by virtue of its metabolites. Curcumin’s low bioavailability can be counteracted by adjuvants like bioperine. 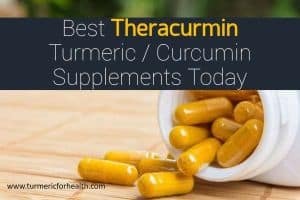 The mechanism behind curcumin’s unique action to act on multiple biochemical targets is still not clearly identified by science but this property of curcumin makes it an attractive wholesome approach of treating and managing various health conditions. 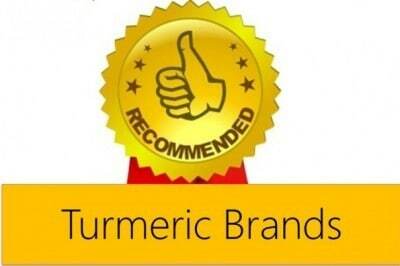 Dietary turmeric is a great way of getting your daily dose of curcumin for health benefits.